Chris Brown is one of the best entertainers of our generation. Introducing Home. 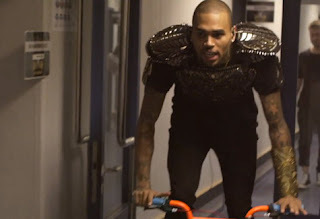 Home serves as an introduction to Chris' 6th studio album, a follow up to Fortune, which is due out later this year. Breezy shows his travels around the world, his incredible shows for adoring fans, his amazing dance skills [only part of his amazing talent] partying it up and kicking it with friends, on this whirlwind of a journey he has made over the past decade. I adore Chris Brown. He's crazy crazy talented, and never fails to deliver, everytime.